Got the new ct9 g2 rifle last week and already began hacking the existing low cap mag issue, These mags are easily increased from 10 to 15 rounds by milling out the limiter hump on each side and removing about 8 coils off of the spring for tension purposes, After this mod the weapon still cycles as normal and there were no created problems as a result. Now to the alternative magazine...I already had in my possession three Argentine FMK-3 machine gun mags, These are very similar to the uzi magazines (which may also work), These just happen to have the same size body without the humped out section where the mag catch rides (this i found was unnecessary), All that was needed to make these work were a small notch cut for the mag catch and some material notched out at the top to avoid the bolt catch. 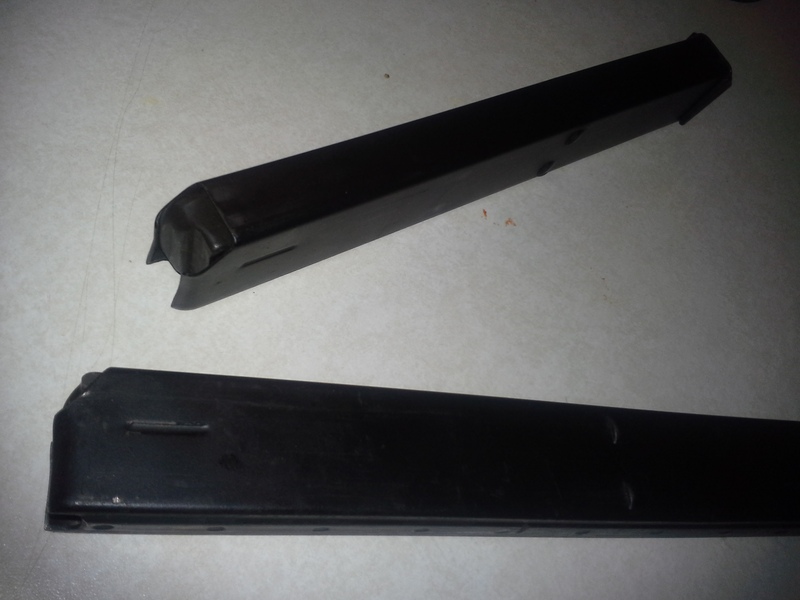 After this mod these mags work perfectly for the ct9 and have capacities of 25 and 40 rounds, The only thing I need to add is some sort of stops due to the fact that on the fmk mags they are alot lower, but they are still functioning fine without for now. darbo, TexasDeputy, dudeman351 and 1 others like this. Not that anyone would do this and void the warranty, but it's a good THEORY. Texheim and jwc007 like this. That looks like some good hacking you have done there. As you probably know the big knock against that gun was the magazine capacity. Looks like you have a workable solution! 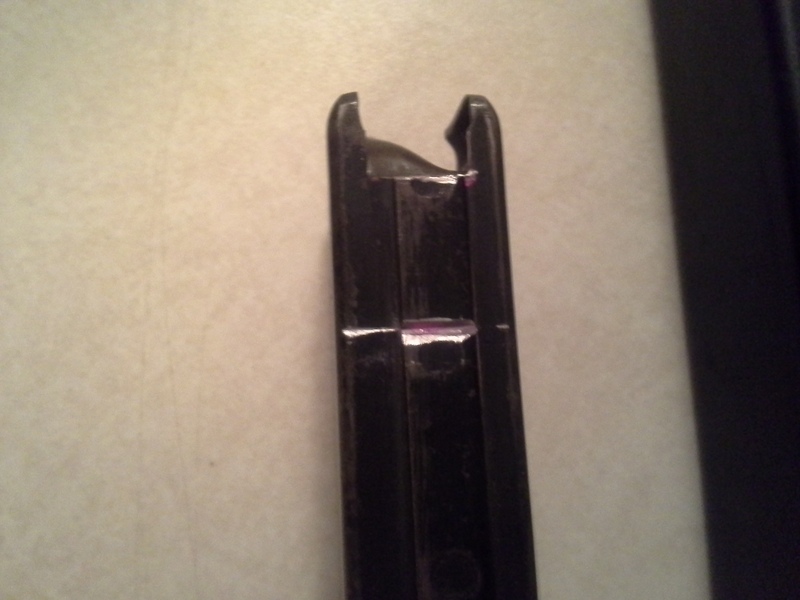 Not so sure if magazines void warranties on on guns. Where did you find the Argentine FMK-3 machine gun mags? As far as warranty, it seems to me that if you made NO ALTERATIONS to the firearm itself, then the warranty would not be an issue. We are pleased to have you aboard! TaurusArmed.net is a great firearms forum that abounds with very knowledgeable and friendly folks who really enjoy talking handguns, ammo loads, firearm safety, and politics. 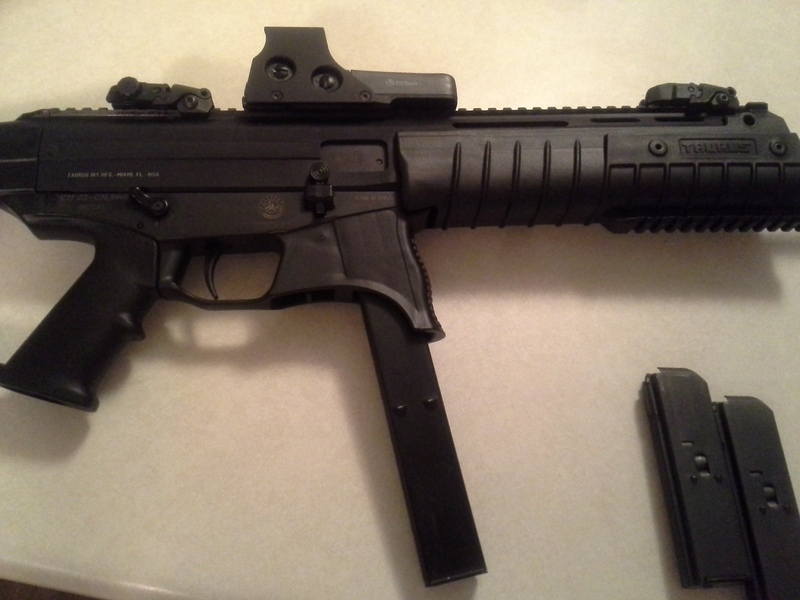 Here is one place that is currently carrying the mags: http://whatacountry.com/ , I would like to try an UZI mag as well. It would be nice to get some dimensions from one. Nice job! I recently got to inspect my first CT9 and really liked it. The one drawback is the limited mag capacity. You my have solved that. Now if I can get someone to come up with a high cap mag substitute for a CX4 in .45, I'd be eternally grateful. Never underestimate the power of people with blind ideological beliefs. They will not be swayed. You do not send in the Mags so it is my guess that unless you told the CS that you did it they would never know. UZI mags are far too fat. 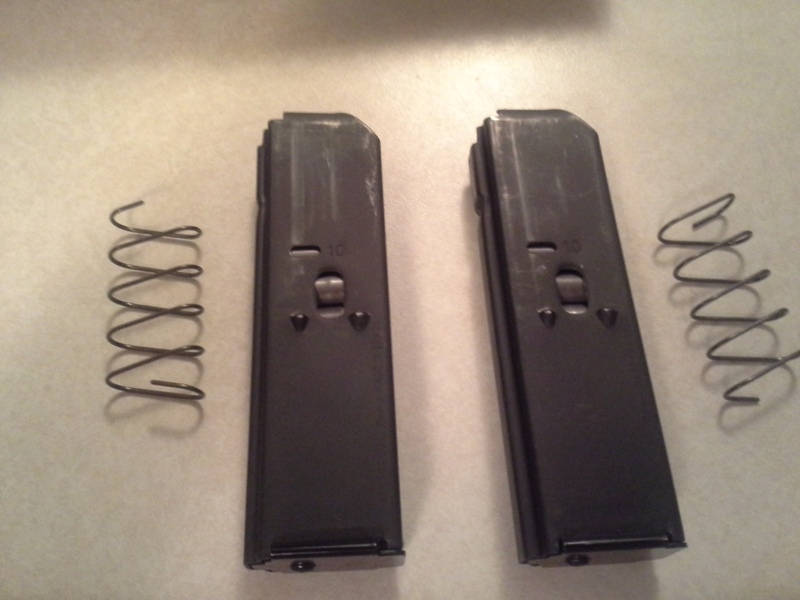 I've been working on this same thing, but I've been trying Colt 9mm mags. The spring tension is off on those, and I'm getting a lot of double feeds and issues with feeding. Did you have those same issues with these?